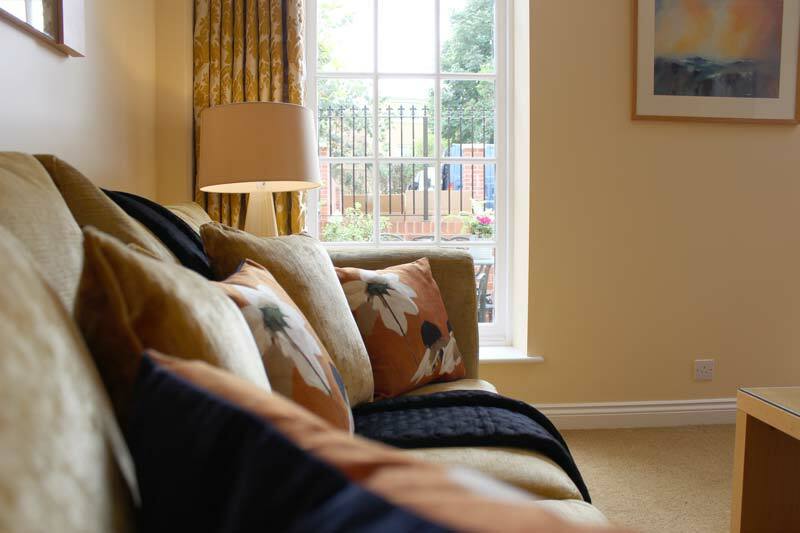 Our extended stay apartments offer great value when it comes to longer business trips. Competitive when compared to hotels, you get regular housekeeping, free WI-FI, off road parking and somewhere to cook, meaning less additional subsistence expenses. 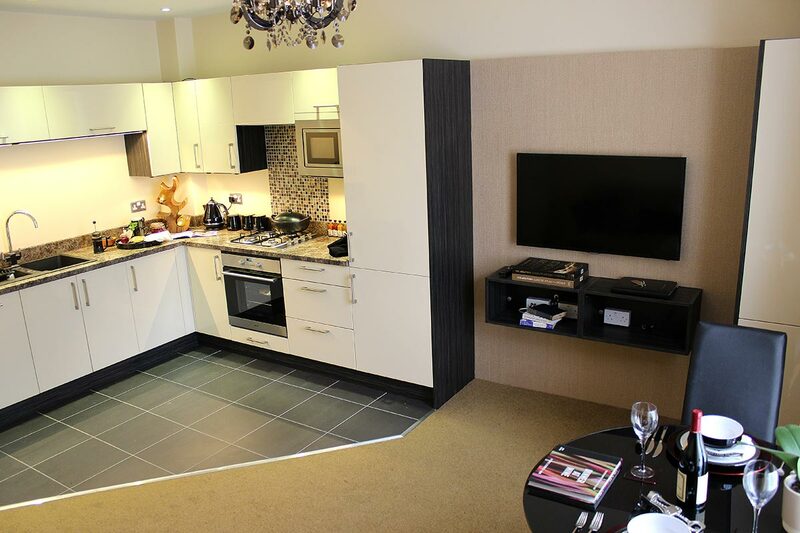 Larger than your average business hotel room, we’ve carefully designed our apartments with areas to live and work. We appreciate the demands of working away and offer a home from home, with the flexibility to lead a normal life when on business. A space to work and relax. Convenient free parking is included in the price, ideal for the busy business person. No need to purchase a ticket or worry about time limits. Arriving early for a meeting, or need to leave your car after check out? Speak to us and we will do our best to accommodate with no additional charge. 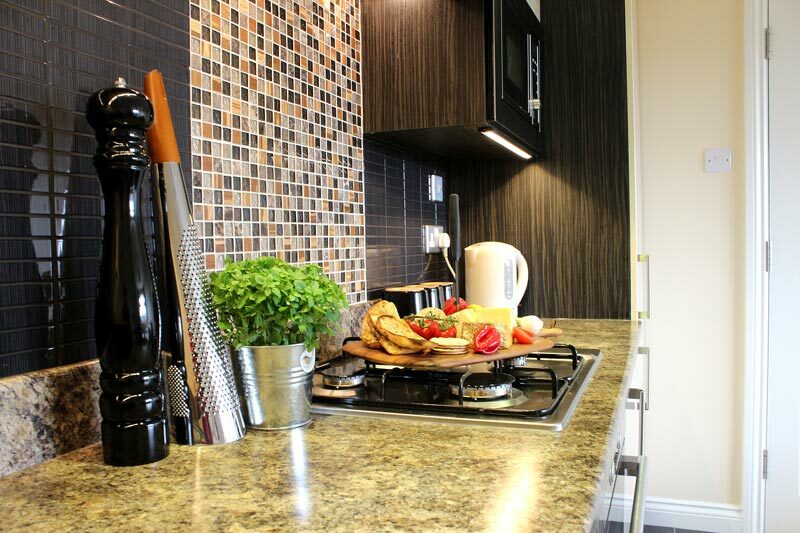 Our apartments are perfectly located for city centre and business areas, train stations and Exeter University, all of which are just a short walk away. Nearby, there is also a great selection of restaurants and places to eat and drink. 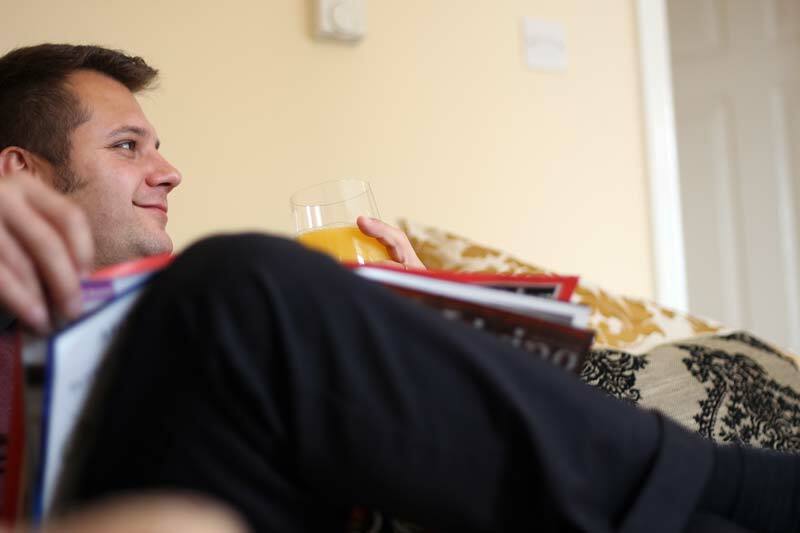 If you’re looking at a longer stay for business reasons, our apartments will be a perfect fit. 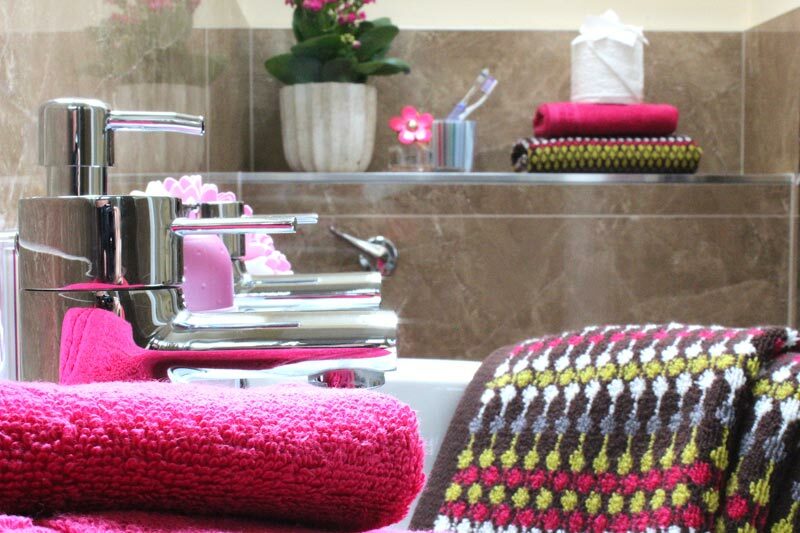 Each one combines the key comforts of a hotel with the privacy and convenience of your own home. Benefits include a weekly maid service along with towel and linen change. 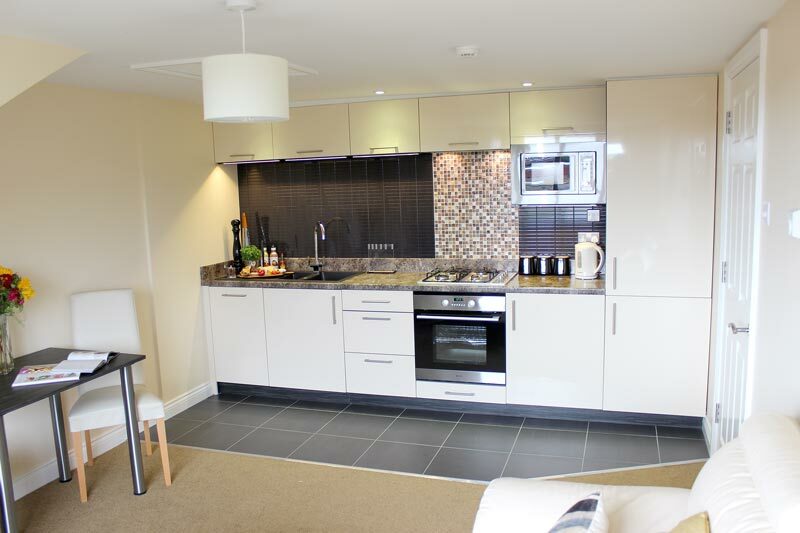 Each apartment has a fully equipped open plan kitchen/living room, bedroom and bathroom. More regular housekeeping can also be provided if required. Next section: The Perfect Living and Working Spaces. 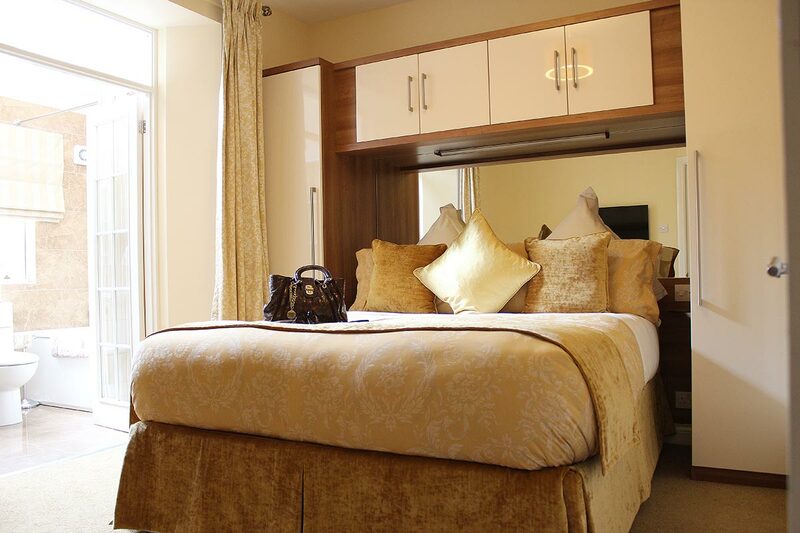 If you’re tired after a long day, each of our apartments is designed to enable you to relax and switch off away from work. There’s a fully-functional kitchen, a Smart TV in both the bedroom and living room and Blue Ray player to help you unwind. Plus, a tastefully designed and decorated bedroom that balances utility and form. When you need to fire up your laptop free fibre broadband Wi-Fi is ready for you to use. On to the next section - Exeter based businesses close by. 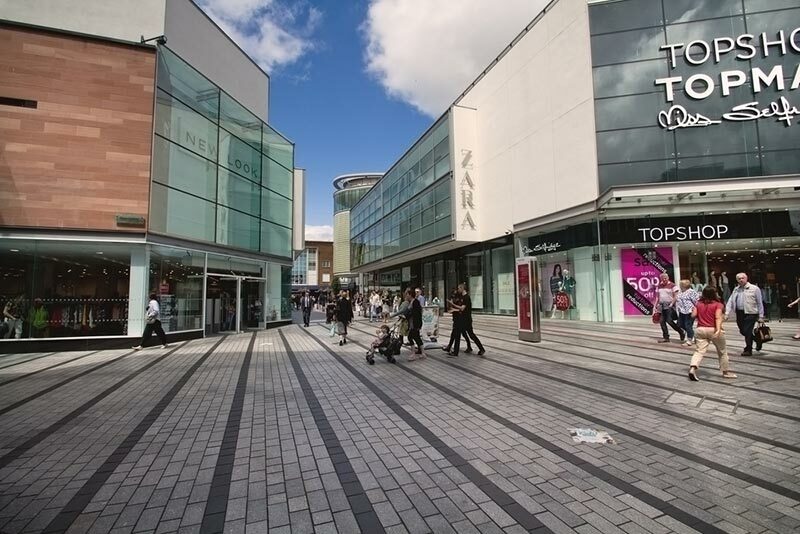 Exeter’s centre is only a 5 minute walk away. 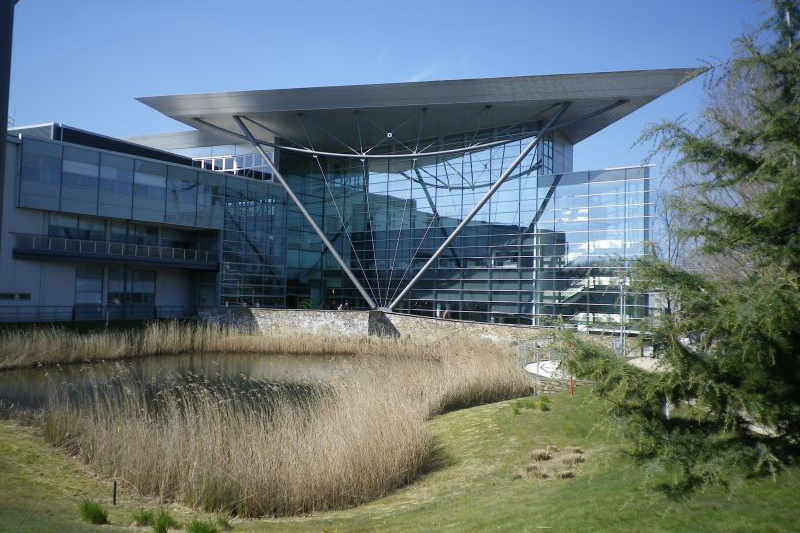 We’re also centrally located for the Innovation Centre (University of Exeter). 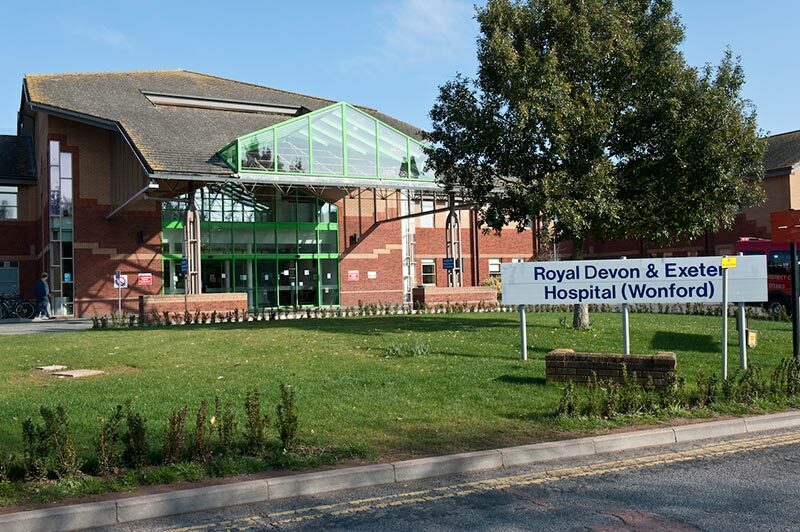 The Met Office, Exeter Science Park and the Royal Devon and Exeter Hospital (Wonford) are a ten minute drive and are easily accessible by public transport. 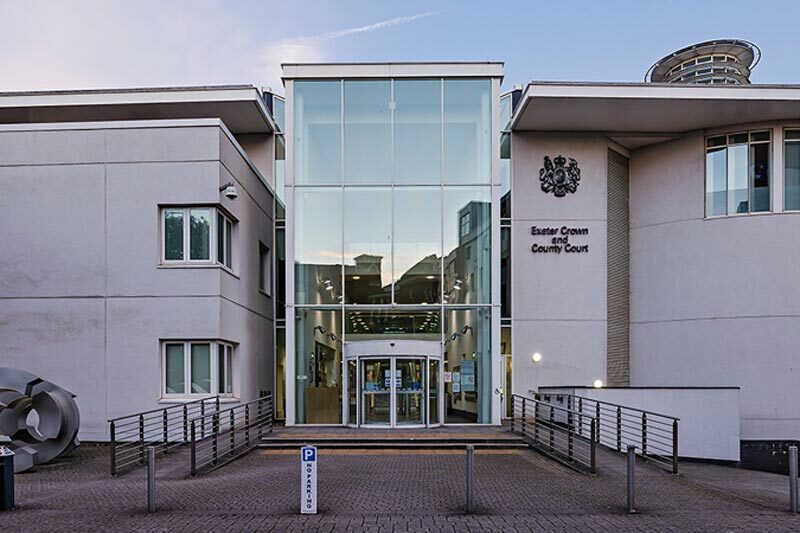 Numerous business parks are also nearby including Marsh Barton, Matford, Sowton, Pynes Hill, Peninsula Park, Pinhoe and Woodwater. Away from work, if you want to relax, we’re in a quiet location. 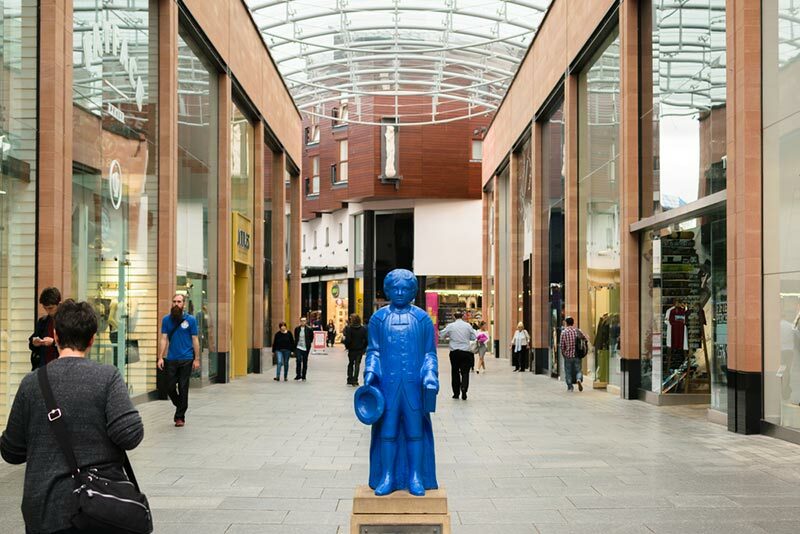 Nearby, there is a great selection of restaurants and places to eat and drink including the new Guildhall Dining Quarter; Exeter’s new premium dining destination just around the corner in Queen Street. 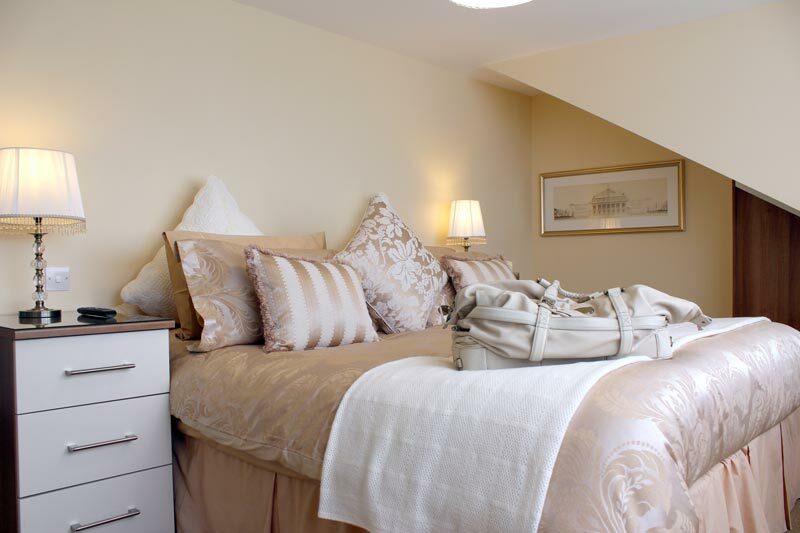 Great sports facilities, a popular quayside, a multi-screen cinema and award winning Museum. We are also just a short drive/train ride to the nearby countryside and coastlines. Scroll to the next section. Moving or relocating to Exeter. 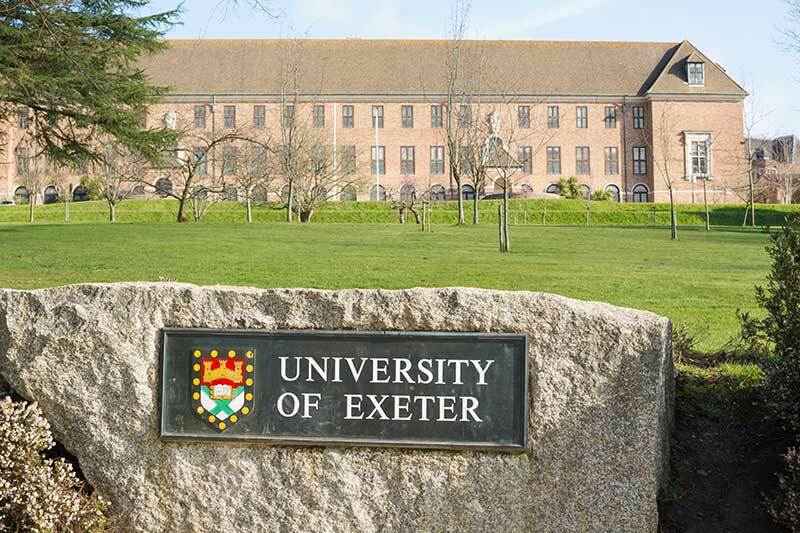 Moving to Exeter? Relocating for work? 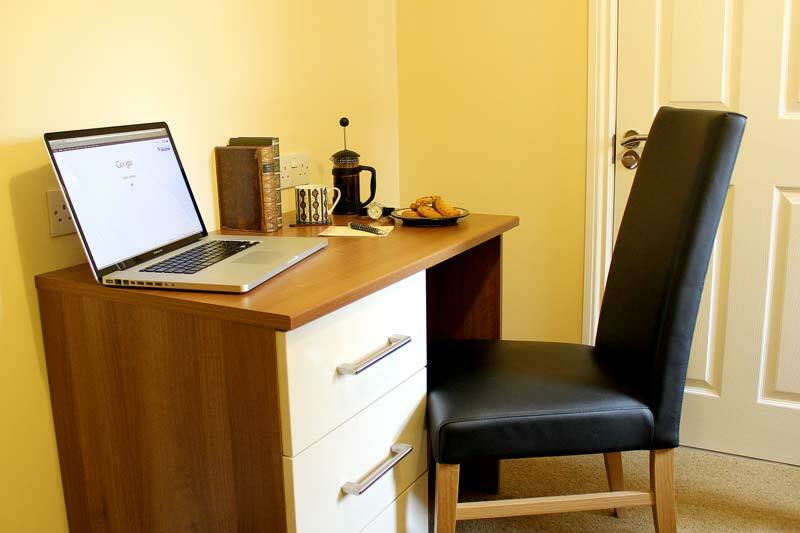 If you’re moving to Exeter for work and considering a long let, our extended stay apartments will make an ideal base while you settle into your new job. Talk to us about your move and how long you want to stay. Simply make an enquiry now. To begin booking, please make an enquiry. Our many years of experience means we provide an efficient and fluent service from your initial booking, through dealing with any special requirements up until checkout (Please note: We have room for groups of colleagues and can arrange block bookings. Please provide details in your enquiry form). 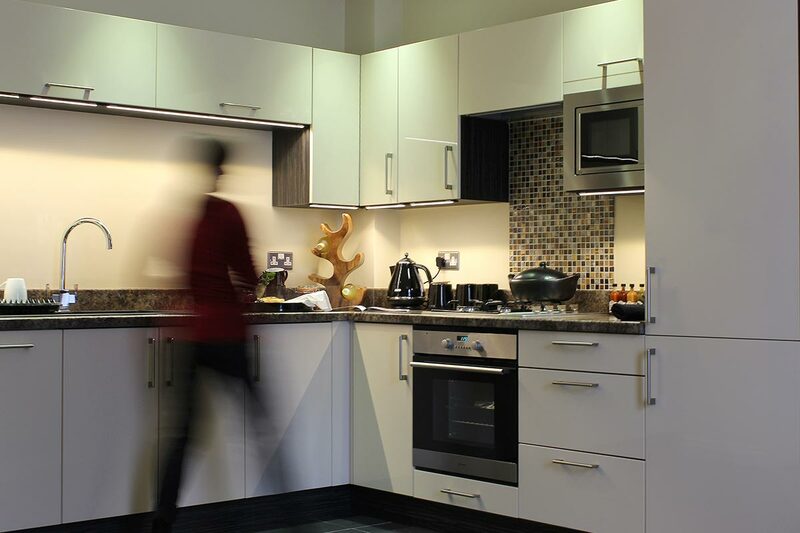 If you've never booked a serviced apartment before, you might like our frequently asked questions. Exeter is the capital of Devon. 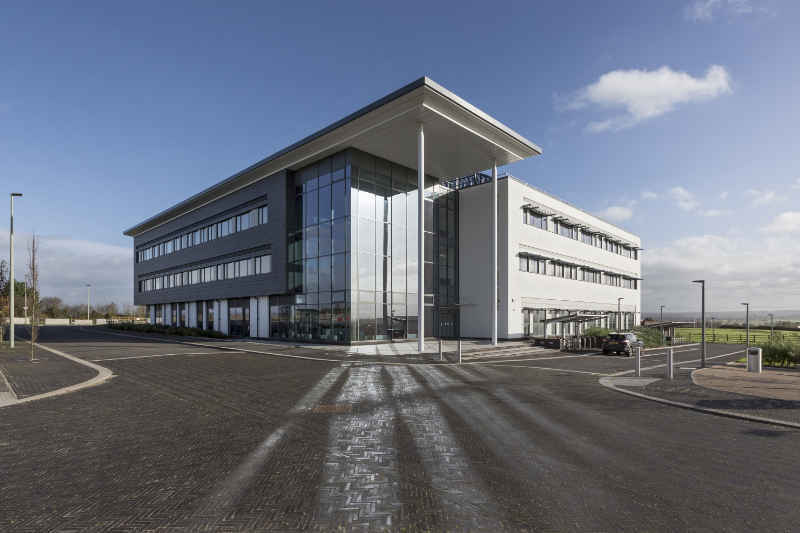 It is a thriving regional business hub with a growing national and international profile. 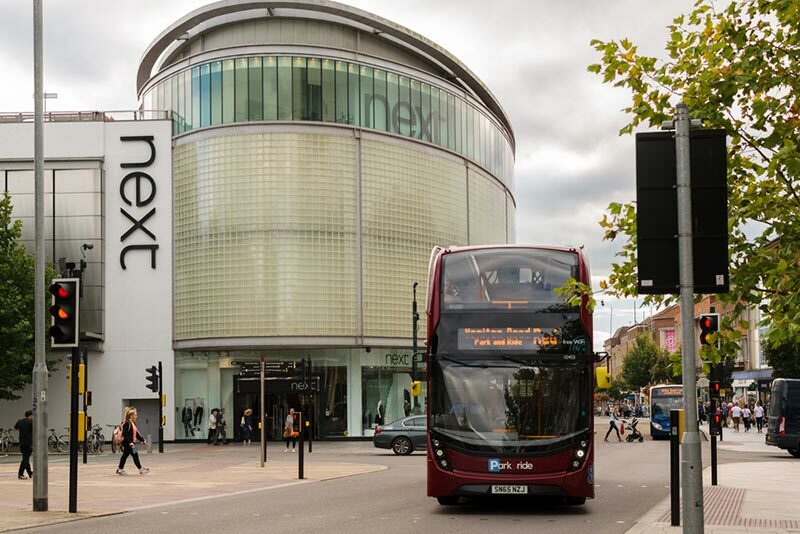 With over £450m invested in the area between 2011 to 2015, new investments are continuing. The city has good access by road, rail and air. There is an international airport, two railway routes into London (Paddington and Waterloo), major routes by road (M5 to Bristol), Park & Ride schemes and joined up cycle routes within the city. With an estimated population of 125,000, it is the heart of a travel to work area for over 455,000 inhabitants. Approximately 35,000 people commute into Exeter every day.